We never do inaugurations – it’s not our style. But we don’t to mind getting someone to say a few words. If they are relevant. Vivek is not someone – but he is very relevant. Besides being our very good friend (for 10 years!!!) 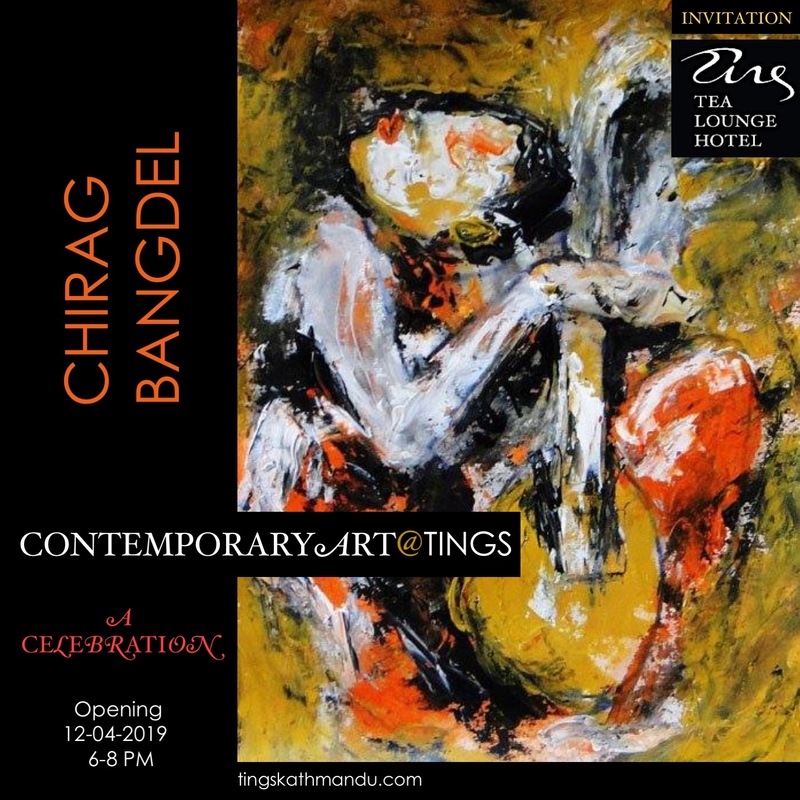 Vivek was the one who introduced us to Chirag Bangdel. So without him we probably wouldn’t have the exhibition on Friday. Since the opening is a celebration of our 10 years in Kathmandu, we gave Vivek a call and asked him if he would say a few opening words…. Tashi is another friend of ours – and one that has been around since we arrived. As a frequent guests at our openings, together with our Malaysian friend DJ Renry Hollins, when he is in town or just around town. Tashi Cultivation’s beats and Grooves is the closest we get to a soundtrack to our first 10 years here in Kathmandu. Both of us have a past at Carlsberg. Without them we probably wouldn’t have been able to live the live we do. In the mid 90s Annette went to Nepal as VP of Carlsberg International. Beer People are easy to become friends with… so they have helped us a lot. In 2012 they came to our opening of ArtLab’s Prasad@Tings. They were blown away by the event and asked os why we didn’t have a sponsor. Since then they have been our generous sponsor of our small events. So to all our friends – see you on Friday.